When it comes to UNESCO world heritage Sites, Maharashtra actually has the largest number of sites in the entire country. From 2nd century BC onward architectural marvels at Ajanta and Ellora Caves, to the iconic CST (previously Victoria Terminus) in Mumbai, Maharashtra has it all. Not to mention Maharashtra's very own valley of flowers at Kaas, the state indeed has much to explore and see. I have been living in the state for a few years now and have been to all the sites, except the Elephanta caves near Mumbai, which is quite a shame. Having explored all the UNESCO World Heritage Sites in Gujarat, I hope to finish them all in Maharashtra as well this summer. So are you tempted to explore these wonders of Maharashtra? Here's a travel guide to help you do just that! The Buddhist Caves at Ajanta are some of the best known and preserved examples of Indian art, particularly cave paintings. Built over hundreds of years from 2nd century BC onwards, the Caves are next to the river Waghora in a horse-shoe shape. Ajanta is not how they were originally known, it's a name given from a near-by village and somehow it captures beautifully the enigma of the place. The serene and away-from-the-world location provided the Buddhist monks a perfect place to meditate. However, over time the Caves were lost to humanity and were discovered by a British officer in the 19th century. Ever since, it's been a celebrate and protected monument, most famous for depicting the life of the time through paintings and sculptures. Alternatively, you can buy guide books there also and they are also quite fine. Some Caves did have mixed up data in these, and caused us some confusion but it wasn't a big problem. The best way to travel is through your is car or in a cab. There are buses also from Aurangabad and other nearby towns. Read 'to reach' section for Ellora Caves below for more details. To stay: Here are two options to stay in Ajanta town itself. Locally known as 'Verul Leni', Ellora Caves are a collection of Buddhist, Hindu and Jain Caves which are cut from the volcanic basaltic formation of Maharasthra, known as ‘Deccan Trap’. Unlike Ajanta, Ellora Caves were never lost to oblivion and it's often attributed to its proximity to the trade routes. There are about 100 Caves out of which 34 are visited by tourists. Caves 1 to 12 are Buddhist; Caves 13 to 29 are Brahmanical and Caves 30 to 34 are Jain. 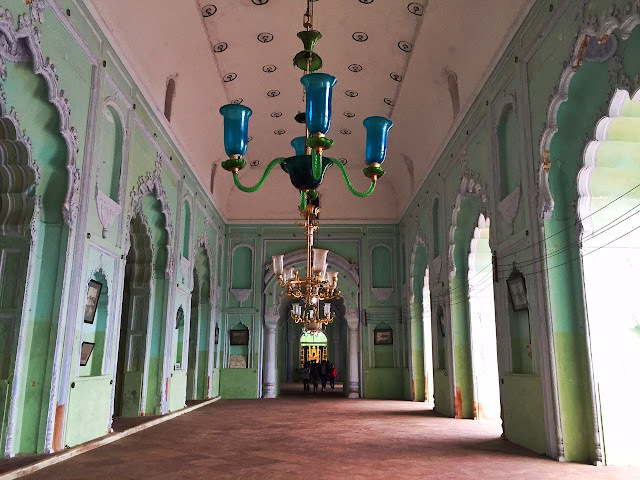 It has passed through many kingdoms, but it was only under the Nizams of Hyderabad that extensive repair work was undertaken here. Pro tip: reach early in the morning before the crowd comes in. People often miss going to the Jain Caves in Ellora as they are fewer in numbers, but that would be a disaster. These are perhaps the most beautiful Caves of the entire complex. Here's a suggestion for a book to buy for Ellora caves. It's best to visit both Ajanta and Ellora Caves during one trip itself as they are only about 100km apart. It's often recommended to make Aurangabad as base for these, but I actually recommend actually staying near Ajanta caves to see the caves there, and in Aurangabad to see Ellora caves. It's very useful to have your own car/ motorbike or a cab to see these places well and at the best times. Of course, that's not necessary at all. Aurangabad is well connected by buses from Pune and other major town and cities in the state. There is bus survive to Ajanta town as well. In Ajanta we stayed at the MTDC guest house, and also in Aurangabad. Both are well located and also very affordable. There is also the beautiful Vivanta by Taj and it's possibly the most luxurious place to stay in the city. Though we didn't stay there, we had some really good food for lunch. Another popular hotel is WelcomHotel Rama International by ITC group. It's amazing that there are actually three primarily Buddhist sites in Maharashtra which are part of the total number of five sites in Maharashtra. This is also the only site that I haven't yet been to which is quite a shame as it's very easily reachable. The caves are located on an island called Elephanta off Mumbai coast, and that's how they got their name - there is no elephant connection. The present caves are from the5-6th Century AD though there are remains from 2nd Century BC as well. Pro tip: The caves are not accessible during the monsoon due to the choppy sea so pale your visit before the famous Mumbai rains come over the city. Also, to best the crowd take the first boat from the city to the caves. 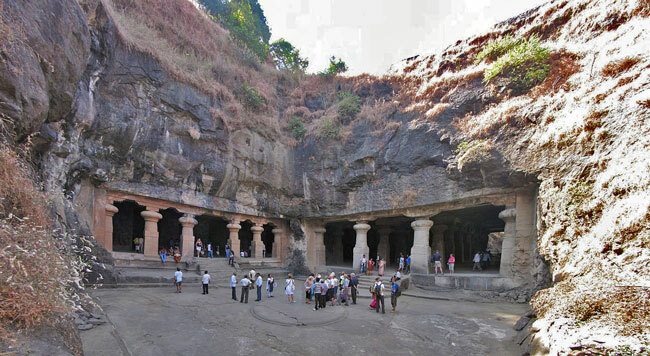 To reach: Elephanta Caves are located near Mumbai and the best way to reach there is by a ferry from Gateway of India. The ferries work whole year around, except the monsoons when the sea is rough. The British were the last great builders in India, even though their contribution fades in front of Mughal architectural masterpieces, like the Taj Mahal and Jama Masjid in Delhi. CST, or Victoria Terminus as it was originally named, however signifies the zenith of British colonial architecture in the entire Indian Subcontinent. Pro tip: join for a heritage walk to explore this iconic building from the times of Raj. The walk takes place everyday, except the weekends, and begins at 3PM at the General Post Office. Read more here. To reach: Mumbai is well connected by flights, trains and buses. It's also connected by ferries and boats from some locations. 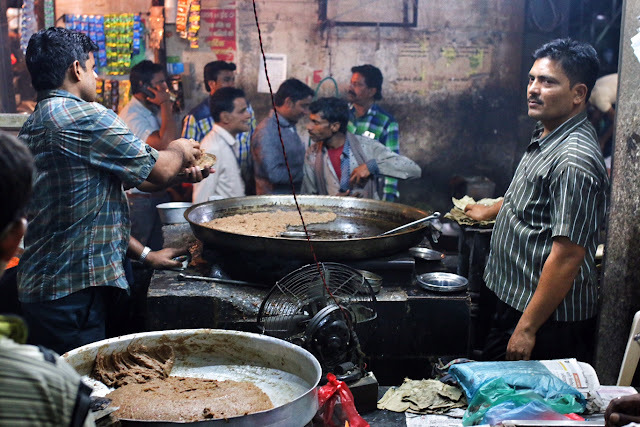 To stay: Mumbai has something for everyone - you can stay at the most luxurious hotel, but also in budget hostels. Of course, airbnb is another great option. Here are the two five star hotels that I have reviewed there - Sofitel and Taj Landsend. Though the entire Western Ghat is a UNESCO World Heritage site, some of the most popular sites are Kaas plateau, the Koyna wildlife sanctuary, the Chandoli national park and the Radhanagari Wildlife sanctuary (source). Western Ghats have been declared a UNESCO World Heritage site as a whole and there are numerous locations across different states which find mention in the list. 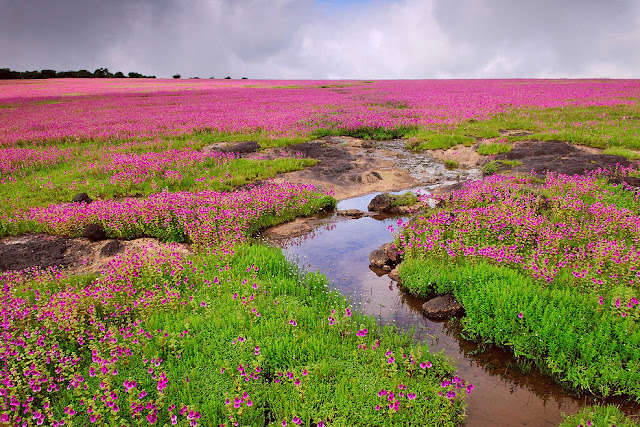 Maharashtra has four such sites (Karnataka has 20 - check this), and perhaps the most popular and easily accessible is Kaas Plateau. It's a plateau with a unique micro climate due to which during the last phase of monsoon, it becomes home for thousands of flower varieties, some of which are endemic only to the plateau. Unique phenomenon like blooming of Topli Karve brings in large number of tourists. Too many tourists are now also a threat to the fragile ecosystem here and their entry is now regulated. Pro tip: it's important to know the date of opening and registering online in advance. Here's the link to do that - Kaas Plateau. To reach: I went in a bus with a bunch of other people and would strongly recommend that instead of a car which can take only four people. Parking is hard to get on the weekends, so if you can, go on a weekday. To stay: it's actually a one day trip from Pune and Kolhapur, but if you are coming from other major cities there are numerous hotels to stay near the site. I would actually love to do that and then walk to the plateau. Well, I need your support to help spread information about Maharashtra's heritage sites across the globe. Do share the post with anyone who wants to explore these and feel free to reach out to me for any additional questions. Great informative post. Keep sharing. These are all such lovely places. A must visit. Actually, four of five places you mentioned are on my wishlist should I get the chance to return to India one day. I'm always intrigued by how those ancient temples were made, how people worshiped there, and how they were abandoned. Plus, the exquisite stone carvings and paintings are truly sights to behold! And just now i saw the video of kolhapuri chappals..i'm from kolhapur.. i wish i had met you on that day.. I had no idea tghat Maharashtra had so many UNESCO world heritage sites! Am keen to go. Love your photographs of the historical sites but also that wonderful flower-filled plateau! These are all fascinating! So many treasures in one place, I wouldn't know where to start. Or maybe I would just start with Ellora Caves because that was the name of a book publisher I knew of? Still, gorgeous and unique sites to explore. I would love to see all of them but most especially that flower field. THat would be my cup of tea. Do you think it would be allowed and respectful to do our follow me Away photoshoot here? Just amazing!! Oh my god this is so beautiful! So bookmarking this. (Kaliasa Temple at Ellora) It's totally indiana jones style and we love these kind of places! What a list! Holy cow! The Buddhist Caves at Ajanta is definitely going on my list! I've never seen something so beautiful! I love it! India has such a huge amount of UNESCO sites. I'm a big fan of visiting them and checking them off my bucket list. I would like to see the one at Maharashtra best. Nice list. I had no idea there were so many UNESCO sites concentrated in Maharashtra. 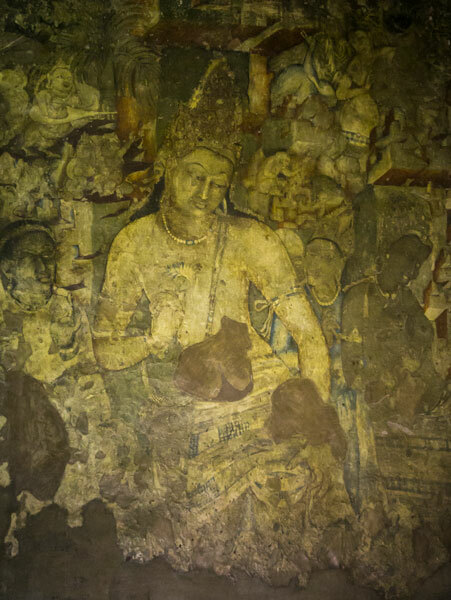 It would be amazing to see the well-preserved paintings at Ajanta Caves. For me, India is a country that has it all! It's amazing how an entire western ghats is a UNESCO World Heritage. The Kaas Plateau is really beautiful!!! That was great Travel and Tour option. I really appreciate with your content. Are guides available at Ajantha and Ellora Caves? Such a Amazing & Great article. Such a wonderful post. Really nice pictuires. Forzest ranbaxy is use for male impotence. The newest added UNESCO world heritage site is- The Victorian Gothic & Art Deco Ensembles Of Mumbai. You might wanna add that. Otherwise this post is quite simple and informative. Buy Imatib 100mg Online is a tyrosine-kinase inhibitor. It is mainly used in the treatment of various types of cancer. Know more about Imatib 100 mg uses, Price, Side Effect, Dosage, How to Take. Cheap Imatib 100 mg.